Dreams mystify even the most hardened skeptic. When you awake from a nightmare frightened, not by anything particularly scary, but by a lake, or a handshake, it becomes obvious that dreams appeal to something deeply symbolic within the human mind. Sometimes, we dream of someone we haven’t seen for an age, and they contact us the next day. Perhaps we visit it a new place, and we remember it from a dream we had years ago. Sometimes, the dead visit us in our dreams, and speak to us as though we were alive. All of these experiences within the dream world reveal the psychic power of the subconscious. It is clear that when asleep, our mind is no more inhibited by the confines of the waking world, and can interact with spiritual guides on the astral plane. In this guide, we’ll break down the three major types of psychic dreams, and give our step by step guide on how to have psychic dreams more regularly. Psychic dreams occur in myriad different ways, and it’s up to you, the dreamer, to interpret them. Interpretation of dreams is so important, as it is only through successfully understanding messages from the astral plane, that a subconscious can fully unlock the potential of psychic dreams. There are three main types of psychic dreams, and we will introduce you to them here. However, sometimes one dream can contain all three types, or even forms of psychic connection that are not mentioned here. Take this guide as the beginning of your journey – there will be lots you will discover alone, as you connect with your innate psychic ability. Sometimes, we can connect with other people who are also in a dream state while asleep, and share information about our lives, thoughts and feelings. 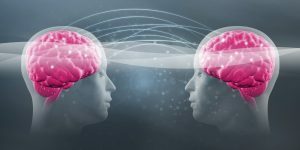 If you encounter someone you know in a dream, and receive information from them about their state of health or their emotional wellbeing, only to find out the next day everything you dreamt is true – you know you’ve had a telepathic dream. Sometimes, our subconscious reaches across the astral plane to communicate with those we care about while in a dream state. If you have a vision about someone you know, you must always contact them as soon as you can after, to respond to the telepathic connection established in the dreamscape. 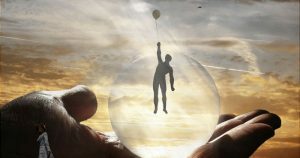 Telepathic dreams are a call to arms, a command from the psychic realm to connect with those in our lives, who are projecting their thoughts and feelings across the astral plane to you. A precognitive dream is a dream that predicts a future event. Sometimes it can take weeks, months, or even years to realize that the vision you had was precognitive. Sometimes, it only takes a matter of hours. Precognitive dreams vary in intensity, and some people are more susceptible to them than others. For other people, precognitive visions are a disturbing revelation. For people who rarely or never experience precognitive dreams, often their first is a forewarning of a tragic event, like a sudden death or an accident. These events usually come to pass quickly after the initial dream. 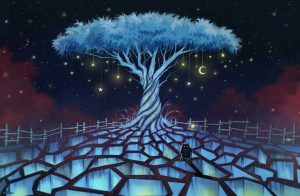 This can be a horrifying experience – however, the astral plane delivers you the message for a purpose, be it to connect with the person, or support the people around them. The more at peace you are with precognitive dreams, the more you will experience. A clairvoyant is a person who can receive information about things which are happening in the present moment, at a distance they are far removed from. This is a special ability, which most of us don’t have access to. However, because of the heightened potential for psychic abilities in the subconscious dream state, more people have clairvoyant experiences while sleeping than in waking life. A clairvoyant dream involves receiving a message, across the astral plane, about something which is happening in the real world while you’re asleep. Some people recall dreaming about the chaos and tragedy of an earthquake, and awaking to discover there was an earthquake on the other side of the world. Others involve visions of a massive car crash, and getting in the car to find there was one on your section of highway. These kinds of visions prove the innate psychic potential inside so many of us. Most of us have an innate potential to experience psychic visions, which just needs to be opened. In truth, throughout our lives, everyone will experience numerous psychic dreams. However, most people find them difficult to distinguish from normal dreams, and so underplay their significance. Psychic dreams are more vivid and compelling than normal dreams, and they enrapture us. Any dream that leaves a big imprint upon us should be taken very seriously. Here we present our five-step guide to getting the best of psychic dreams. Part of psychic dreaming is determining your willingness to receive subconscious messages across the astral plane. Before bed, relax into a state of openness and possibility. Reach into your mind and determine your intention to connect with your innate psychic ability. Go into bed relaxed and confident, and you will be ready to receive psychic dreams. This is probably the most important step in encouraging more psychic visions. If you journal every day upon waking, you will notice your dreams will increase in intensity, and you will be able to remember them more vividly than you would have done before you started journaling. A journal also helps you interpret the information you are receiving in the dreamscape properly, which is crucial to understand the spiritual messages you are getting from the astral plane. Properly interpreting psychic visions requires paying attention to any recurring symbols or patterns. 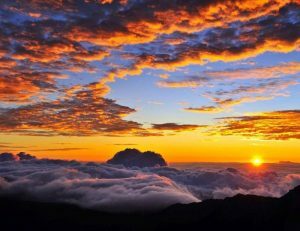 Motifs that happen over and over again in the dreamscape pertain to something beyond it, within your life – and may foreshadow trials to come. The more keen attention you pay to symbols in your dreams, the better you will understand the messages you are receiving and how they relate to your life, and the lives of others. Follow any messages you retrieve in psychic dreams like a detective with a lead. If you dream of someone, contact them to confirm the information. If you dream of a tsunami, check the news to see about natural disasters around the world. Often visions will be more metaphorical, while still relaying psychic information. If you dream of wind blowing around a kitchen, and see on the news there was a tornado in Arkansas – that was a psychic dream. This is why sensitivity in interpretation is so important, to be aware of the subtle resonances received from the astral planes in dreams. If you feel you need to, go and talk with a psychic or a clairvoyant person about the dreams you are having. Have faith in the process, and we hope this handy guide will connect you with your innate psychic ability; so you can come to better understand the astral plane, and receive more messages from it while sleeping.